Our one day seminar about how to get MORE out of your career. Learn marketing tips to get yourself noticed and start booking. “Judy, I am forever grateful for your inspiration as a professional actress and teacher. Your creation of the BEST school for actors holds the missing key to our careers - creating your brand!" -Isabel E.
“Tom Burke helped me tremendously and I left knowing so much more about the business and myself! I guarantee he will help you propel your career forward!” - Mary K.
See COACHING for more info. This class is a prerequisite to take the All-In-One Headshot class. *If under 14 years old, parents only. Are You Castable? Going out as much as you should? Getting the auditions you're right for? Meeting with the best agents and managers? In Tom Burke's one-day, branding workshop, discover keys to help you open those doors to a successful acting career. THE CASTABLE ACTOR is the PREREQUISITE to take the ALL-IN-ONE HEADSHOTS PACKAGE. No one is going to “get” you, until you “get” yourself first. Understand who you are, and how you fit in the business. Pinpoint what separates you from other actors in your category. Get an HONEST REALISTIC & SPECIFIC “Industry” assessment of the image you are currently presenting. Learn how to present yourself as a marketable commodity that people are buying. Discover how to highlight your marketable image in every aspect of your acting life…headshots, reel, classes, meetings, auditions, relationships, clothing, etc. Individual headshot evaluation and direction included. Don’t just sit and wait for your career to happen. Save time in your career and package yourself appropriately. With image & Backstage expert, TOM BURKE (Bio). Two new headshots that pinpoint your personal brand, headshot coaching, wardrobe consultation, & a photo shoot all in one day. Three professionals working together to get you your best, most castable headshots yet. 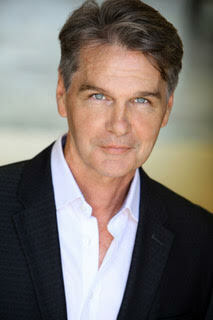 Master Getting a GREAT Headshot with Judy Kain, craig damon and Tom Burke. Prior to your headshot session you will be required to bring several outfits to Keep It Real Acting Studios (4444 Lankershim Blvd. #203, North Hollywood, CA 91602) for approval. This is included in the price of the class, and will help the shoot day run more smoothly. Personal coaching by image expert, TOM BURKE, and Hair and wardrobe styling provided by award-winning acting teacher, JUDY KAIN (IMDb). *PREREQUISITE: Having taken both THE CASTABLE ACTOR class and REALLY YOU’RE WEARING THAT within one year of the Headshot Class, or a private image coaching with Tom Burke. (No prerequisite for actors 13 yrs old and younger). Offer EXCLUSIVE to All-in-One Headshot students. Tom Burke will review your final images from class online, helping you select the strongest ones. Meet one-on-one with our image expert and Backstage expert / contributor, Tom Burke, to help pinpoint your most marketable brand, and have him join you during your photo shoot for headshot coaching to ensure you communicate your unique essence. In order to be a working actor, you not only need talent, but you must present a marketable image to first get in the door. No one is going to ‘get’ you, unless you ‘get’ you first. This one-hour consultation will give you the confidence and readiness to nail your next photo shoot and deliver shots that get attention. The Business of Acting Online Course gives you a step-by-step approach on how to begin the process while pursuing an acting career. The course saves you time and money while assisting you with your goals in any area of acting: television, film, theatre, commercials, voice over, etc.